In Spiritual Leadership Principle-Wisdom (pt.1) we learned Solomon become king at a young age. One of the first things he did was to ask God for wisdom to lead the nation. I wrote about the core of wisdom and what it takes to be an indispensable Christian leader. Click here to read the first part. Godly wisdom is a foundational attribute of a great leader. A leader can have talent, strong communication skills, a vision, tremendous courage, and produce change; however, to fully maximize our effectiveness for the Kingdom of God and reach our potential then we must have and strive to increase in Godly wisdom. It is often the missing attribute between a person who is living successfully while on the path to leaving a lasting legacy and someone who is just living. 1. God can give wisdom to anyone at any time. He does not base giving wisdom on the person or age. It’s more dependent on the person’s heart and desire for it. 2. God allows us to turn learning and experiences into wisdom and good judgment. The first can come quickly while the second comes only with time. In How to Grow in Wisdom I mention 3 ways a person can increase in wisdom: grow in knowledge, gain experience, and seek a higher power. The discussion in the comment section provided other ways we can grow in wisdom. Juan Cruz said, “Wisdom comes from fearing the Holy one of Israel himself, the Lord.” Proverbs says, “Fear of the Lord is the beginning of wisdom.” If we expect to grow in Godly wisdom it requires having the fear of the Lord. Strive to fear the Lord by serving Him fully. Dan Erickson, Ngina Otiende, Loren Pinilis, Nathan Magnuson, Scott Kerzner, and Bill Grandi each provided unique answers with one core message which was to associate with the wise. To spend time and get advice from those who display wisdom. Proverbs 13:20 says, “Whoever walks with the wise will become wise; whoever walks with fools will suffer harm.” It might be a good idea to evaluate and if needed readjust who you spend your time with. This is also the reward faith leaders can see when they have and grow in Godly wisdom. To read some of the other benefits of wisdom check out my past post 20 Rewards to Having Wisdom. Questions: How has having Godly wisdom impacted your life and leadership? What are some of the rewards you have seen from having Godly wisdom? First, Dan. thanks for the shout out. Second, when I have taken the time to seek God’s wisdom I come out a whole lot better. The trouble comes from not waiting. I also do well sometimes when I consult others about some choices I need to make. Your welcome Bill. I hear you about everything being better when we seek Godly wisdom. I agree it’s sometimes hard to wait. Thanks for reading and sharing. First off – thanks for the mention in your post! I consider it an honor. 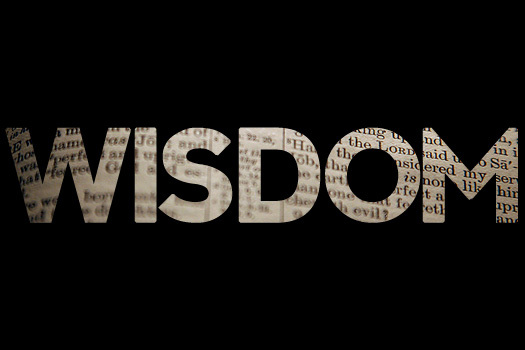 Second, Godly wisdom is what has helped grow my ministry to what it is today. Without it, I never would have led mission trips to Europe, grown to more than one school, developed our own resources, or known who to add to the team. Wisdom for God is key to anything we do. Your welcome. It’s my pleasure. It’s great when we see the fruits of our labor and wisdom. It’s always great to hear your insightful and wise comments. Thank you. I’m reading through Proverbs right now. It’s AMAZING to me how much it talks about the benefits of wisdom and the need to get wisdom. It feels almost sometime like a broken record – that’s how important this is to God. The illustrations given in Proverbs are awesome. There are lots of pursuits to engage in, but the pursuit of his wisdom truly changes lives. Proverbs is full of wisdom and I think every leader should frequently read the book/chapters. Thank you for sharing and commenting. On ‘broken records’, am reading through the book of John and one thing that Christ repeats over and over is His oneness with His father and He being sent of Him. I agree with you – oft-repeated does equal super important. I think the two areas where Godly wisdom has effected my life are in the way I raise my daughter, using gentle love and subtle Christian teaching, rather than trying to force ideals upon her, and through my writing. What a great areas to use wisdom in. To raise a child in today culture requires wisdom. Thanks for adding to the conversation. For me, realizing the hand of God in my life through redemption is one of the key areas He showed me wisdom. Seeking God naturally gives wisdom as we realize the omnipotence and awe of God, or fear if you will. Wisdom translated into today’s terms could be “common sense,” which isn’t so common anymore. Massive subject. I could go on, but I’ll spare you and everyone else! Thanks, Dan. Great points, I agree about wisdom translating into “common sense” in today’s culture. Thanks for adding to the topic and discussion. I appreciate you. Godly wisdom has saved me from myself and the things that I think are best. I have learned and listened to the voice of the Lord and it has saved me many time over. Great quote: “saved me from myself”. Isn’t that the truth for all of us. I relate with that bro:) Thanks for taking the time to read and comment. God’s loving wisdom has impacted every area of my life. Without it, I couldn’t do half of what I’m doing because I’m not naturally talented in so many of areas He wants me to minister in. He has also helped me be content and joyful through His wisdom because when I see the world from His perspective, I’m content even when life is difficult. Being content in all circumstances is a tremendous life lesson – thanks for mentioning it – a great reminder. Wisdom is essential for those who lead in ministry. Great point about it impacting every area of your life. That’s what happens when we have Godly wisdom. Thank you for taking the time to share. I so agree with you Barb! “be content and joyful” and see the world and other people from God’s perspective. It has given me a rewarding life without regrets. One that I’m not as embarrassed about (my dumb decisions aren’t as dumb as they could have been). It allows me to impact the lives of those I come into contact with. It’s given me peace. That’s a great life to live:) Keep growing and living in wisdom bro! I agree with Kimanzi, Godly wisdom has saved me from myself more times than I can count. Amen about that. Thanks for sharing. What a great post Dan, I love how you’ incorporated input from others (am so honored to be mentioned) and added great value. Thank you. It was my privilege to mention you and others. The comments add so much for value to the topic and appreciate everyone’s wise and insightful thoughts. What a great psalm and prayer. Thanks for sharing and being apart of this community. Isn’t part of the trick to stop and ask (pray) for Godly wisdom? I think sometimes we(I) don’t because secretly we(I) want to do things according to our(my) own “wisdom.” Seeking Godly wisdom has helped me in the past to lead small groups at our church, to pursue job changes, and even to adopt our son. I hear you. It’s our self-center self who tries to get in the way. Those are some great things that resulted from seeking Godly wisdom. Thank you so much for sharing. Its everything for me. He’s the CEO of everything I do. My spirituality, my life, my family, my business. I can’t tell you how much this post really touched my heart Dan. Awesome! That’s great man! Let’s keep God at the center of our lives. I’m so glad the post spoke to you. Thank you for reading and mentioning that. It means a lot. Would you want a whole testimony here Dan Godly wisdom for me has had immeasurable benefits and not just for me but for those around me. Whether in our family, as a mentor, at work – wisdom has enabled me stay firm in my walk with God from an early age and even when I walked away from His leading, His wisdom pulled me back into the right way. It was a time of pruning and refinement (of course not easy at the time), but looking back I see how God provided a way for me to testify of His love and mercy. This I have done through writing and being a good example to my peers. Yes, the results of Godly wisdom benefit us but they also should add value to others. That’s great to hear, in today’s culture we need more strong and wise people of faith. It’s great how God shows us love and grace even when we are not fully following Him or His commandments. I’m glad you enjoyed the post and other comments. I always enjoy hearing from you. I am edified by your words. Thanks Dan. Dan, first of all thanks for mention on your post. The one that stood out for me in the post is that wisdom doesn’t necessarily come with age. Sure we can gain a lot of experience and head-knowledge but if we don’t apply wisely we just have grown old with no wisdom. It also reminds of Jeremiah the prophet who was young,but God used him to bring prophecy to his people, even when Jeremiah thought he was too young. Godly wisdom has allowed me to lead based on God’s word. Everything I do how I lead people, treat people, I always take it to God’s word. It has also allowed me to be bold, and have courage when dealing with difficult customer and employees. Great post. Your welcome Juan:) Great example of someone who was both young and wise who was used greatly by God. “Being lead based on God’s word” is so essential. When we do this we grow in wisdom and produce fruit in our life. Thank you for reading and commenting.